Quickly learn how to capture credit cards and take payments from your clients. Genbook Payments is a comprehensive and secure payment processing feature that's seamlessly integrated into Genbook accounts. 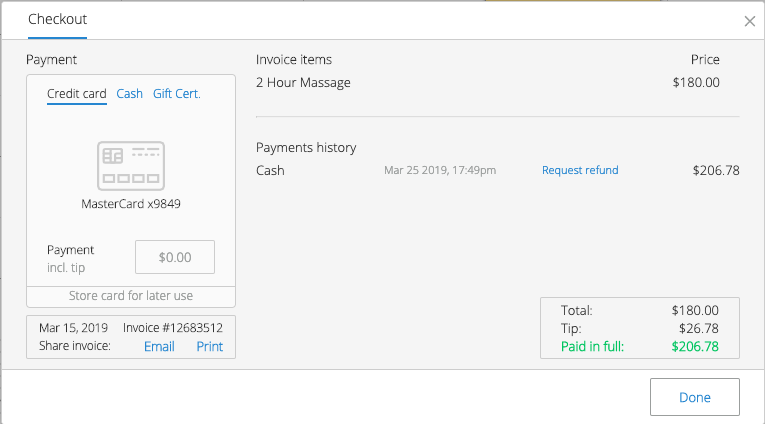 Your business can charge customers full payments, collect deposits, and capture Credit Card details for later processing, all at the time of booking. To get started, go to Settings > Payments. You'll need to connect your Genbook account to Stripe, a leader in online payments, and Genbook's payment solution partner. If you don't have a Stripe account, you can easily set one up. You'll need to have certain information about your business handy. 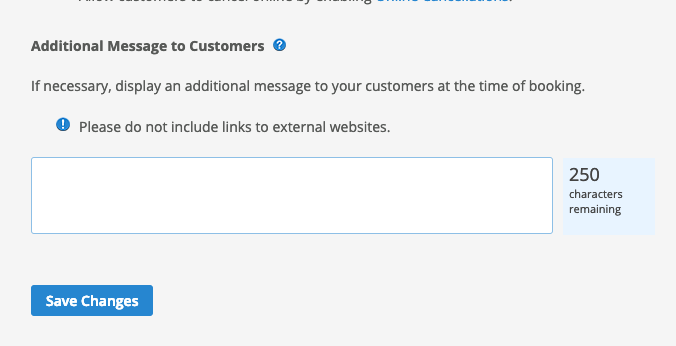 Once you click the "Connect with Stripe" button, a Stripe account setup page will appear and prompt you for details about your business. You'll also be asked to enter your banking information, so that any payments processed via Genbook can be deposited directly into your bank account. Be sure to make a note of your new Stripe account login details. 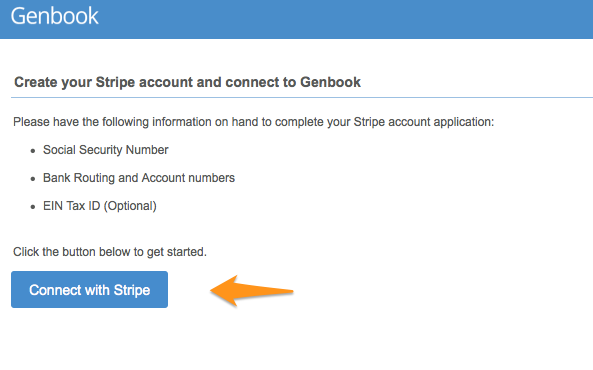 If you already have a Stripe account, you can simply choose to "Sign in", and connect it to your Genbook account. 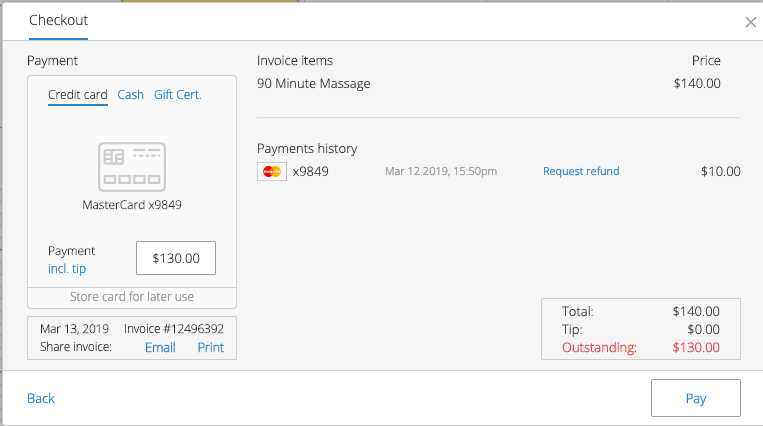 When you return to the Payments page in your Genbook Settings, the "Enable Genbook Payments" setting will be checked, and the page will display your Payments settings. 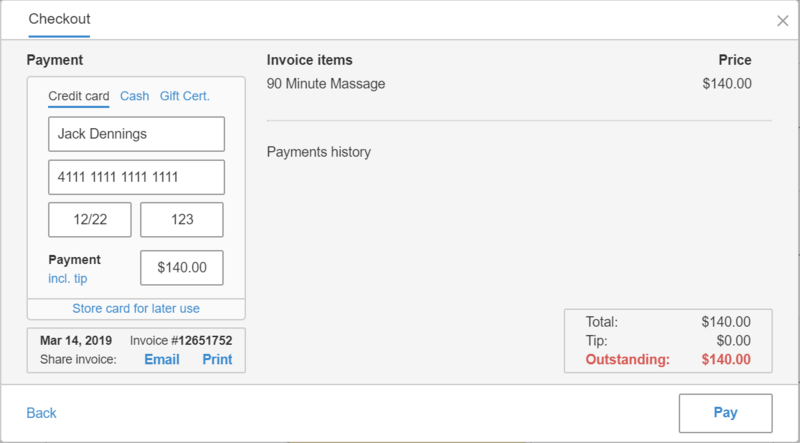 The customer will then see the payment information on the Confirmation screen, along with the other appointment details. 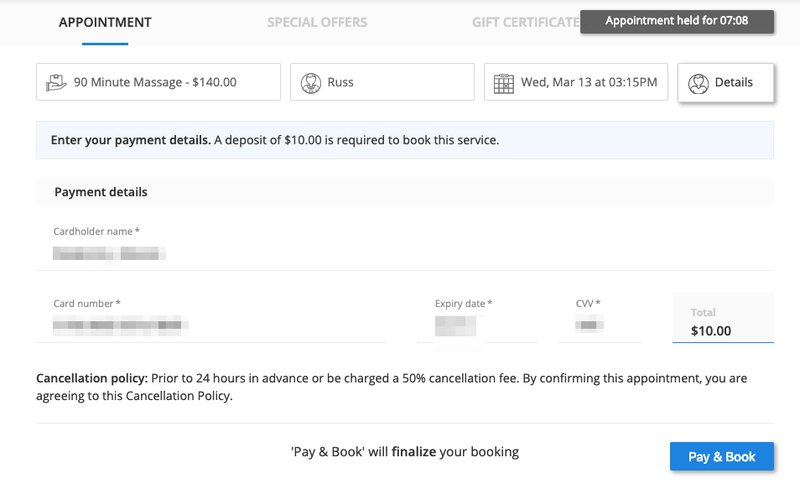 The next section allows you to set up a Cancellation policy, which will be displayed to all customers at the time of booking. 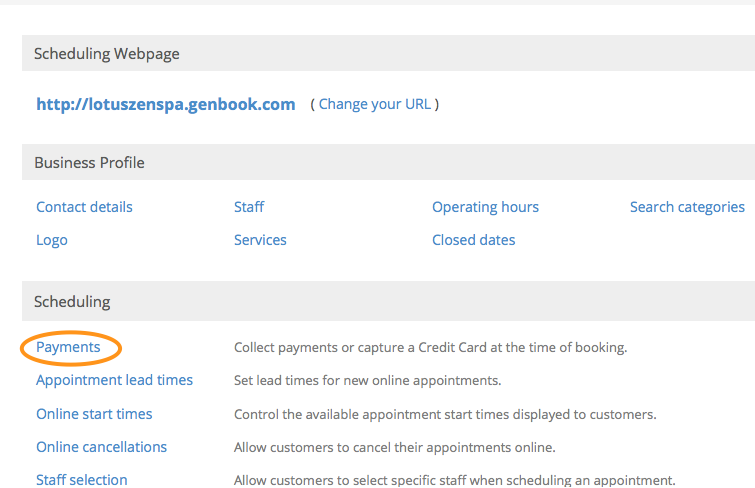 Using Genbook Payments, customers can be charged a percentage of the service cost if they cancel an appointment less than the specified number of hours in advance, if you have captured their credit card details with the booking. 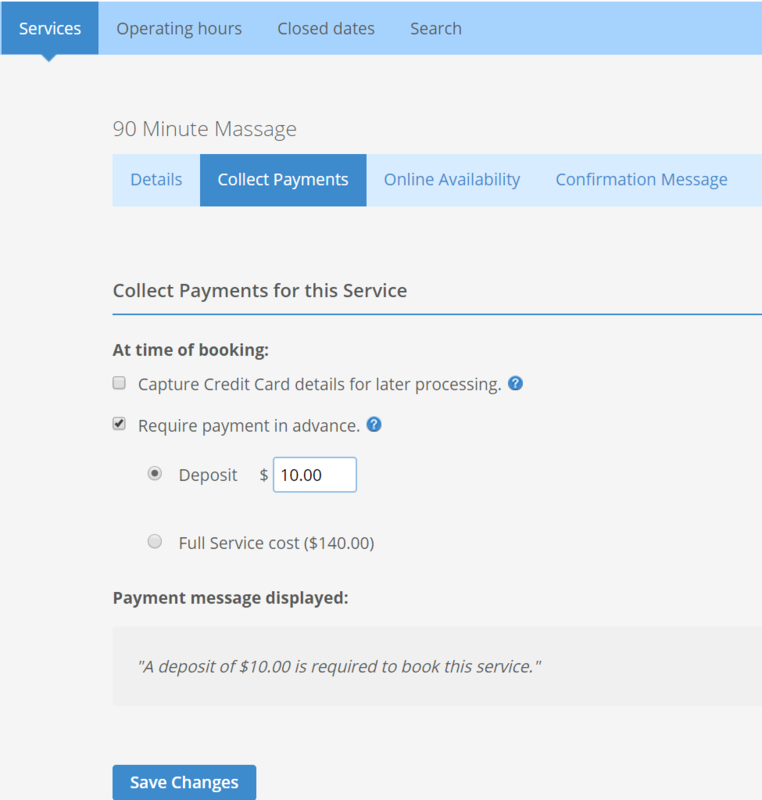 In the example below, the business is communicating that customers who cancel less than 24 hours in advance of their appointments will be charged a cancellation fee of 50% of the service cost. 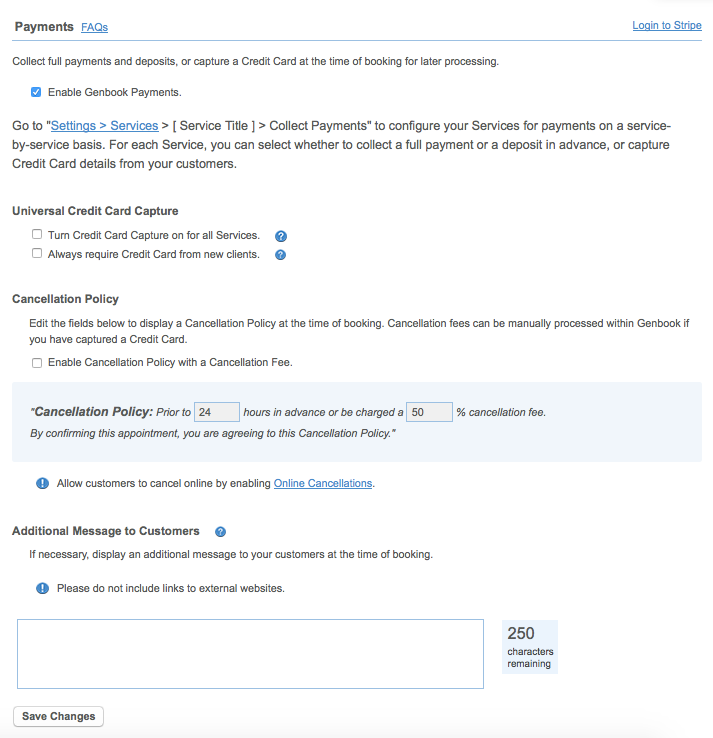 Here's what the credit card capture and cancellation policy messages would look like to a customer on the online scheduling page. To process a payment at the time you enter the card data, enter the payment amount in the "Payment" field. Otherwise (to capture and store the card details only), click the option to 'Store card for later use' or use the 'Store Card' option in the initial appointment details window. 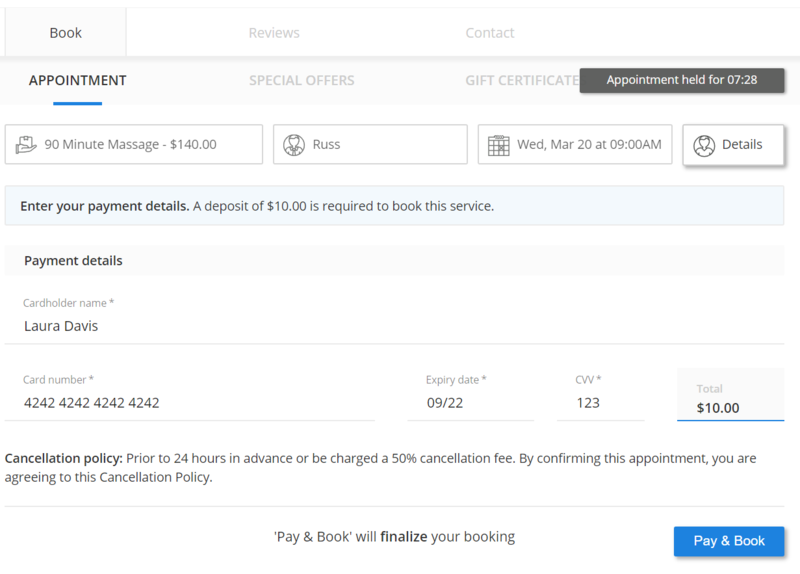 This feature is also useful if you didn't capture the card details at the time of the Online booking (when the customer made the appointment herself), but wish to enter the card details and charge the customer when she shows up for the appointment. All appointments that include either a payment or a captured card will display a small dollar sign ($) icon at the top right. Clicking on the appointment will reveal a Payments tab, which contains the last 4 digits of the credit card and any payment history. In the example below, we need to charge a customer for a late cancellation. We will simply type in the amount to be charged — $37.50 (50% of the service's $75 cost) — and click the "Pay" button. After confirming the charge, the transaction is processed immediately, and the payment information appears on the the Payments tab. 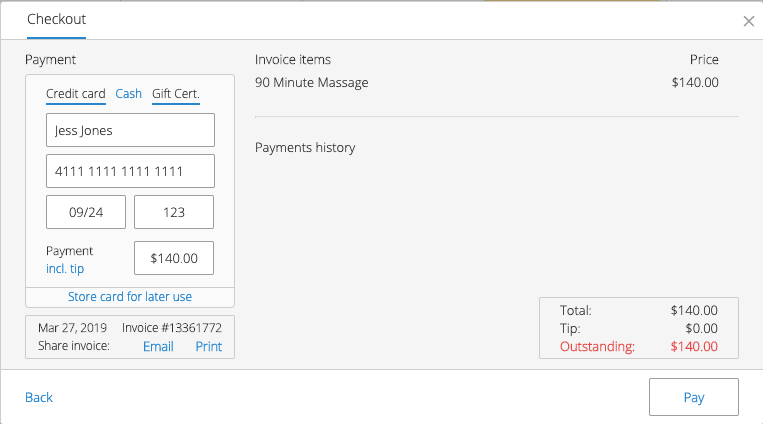 You can also log in to your Stripe account to view your payment history and process any refunds, as necessary. To refund the customer, simply click the "Request refund" option in the appointment's Payments history. 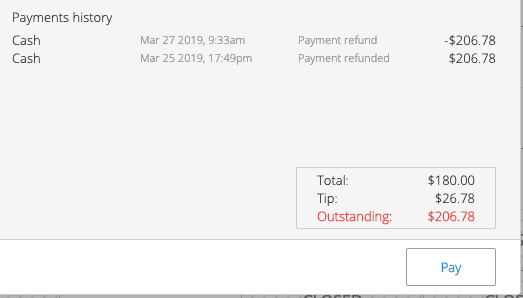 Once a payment has been refunded, you will see the initial refund request, as well, as the confirmation that it has been refunded. On appointments where a deposit was collected, the Checkout section of the appointment will display the deposit details, along with the option to charge the remaining balance of the service's cost. You can learn more about Genbook Payments by reviewing the "Payments" Settings page, the in-app Tips, and the FAQs on the Payments page. If you have any questions, please send us a message.